News broke late last week that Ozzy Osbourne is back with his longtime guitarist Zakk Wylde for Ozzy’s upcoming solo shows. But, where does that leave the guy who has been playing with Ozzy the past few years, Gus G.? Well, Gus G. is very supportive, and he gives his blessing in a new statement thanking Ozzy for everything they’ve accomplished together over the years. 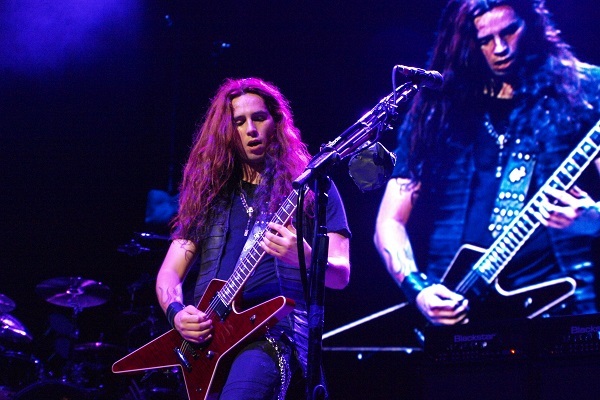 Gus G. performed on Ozzy’s 2010 solo release, “Scream.” He also toured the globe with Ozzy, including gigs at the former OzzFest. Wylde first joined Ozzy’s band three decades ago and was with him from 1987 to 1995, then again in 1998, as well as from 2001 to 2004 and from 2006 to 2009. Wylde also performed on several of Ozzy’s studio albums and live albums.